There’s been a debate for some time about links between video games and violence – the game Manhunter 2 was banned for “constantly [encouraging] visceral killing” – although there has been no conclusive evidence that suggests any correlation (despite President Trump declaring that video games are “creating monsters”). Over the last few years, however, it’s the addictive nature of video games that has been a cause for concern. 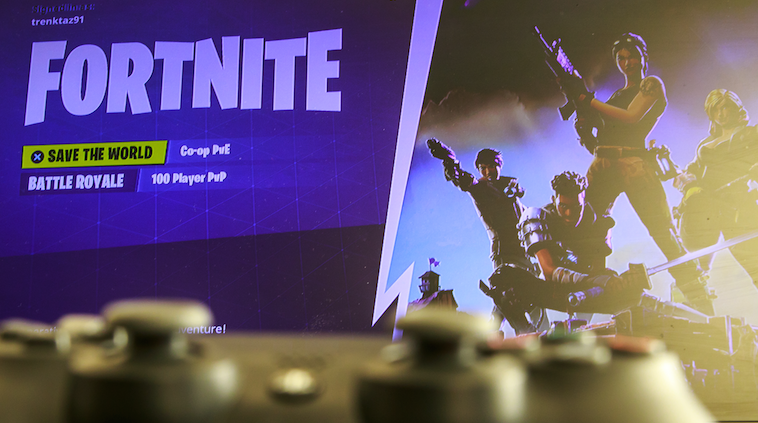 Fornite is a battle-royale / survival style video game that is played in real-time by an estimated 125 million people around the world – and its soaring popularity is one of the reasons that the ‘addictiveness’ of games has been brought to people’s attention. This isn’t baseless: a 9-year-old girl in Britain was sent to rehab because she chose to wet herself rather than pausing the game. But it’s not just Fortnite. In 2010, a South Korean couple were convicted of the negligent homicide of their baby – because they regularly abandoned her to play an online fantasy game at local internet cafes. And in the States, a 35-year-old man died last year after participating in a 24-hour long gaming marathon. So, what is it about these games that make them so addictive, that people are willing to put their own wellbeing at risk, rather than miss out? Why Do People Get Hooked? Following his experiments on caged rats (every time the rats pressed a lever, they were rewarded with food pellets), BF Skinner – the father of operant conditioning – argued that if good behaviour is followed by pleasant consequences, it is more likely to be repeated, and vice versa for ‘bad’ behaviours. Your brain treats items and goods in the video game world as if they are real… Because, essentially, they are. If it takes time, effort and skill to obtain an item, said item immediately has value – whether it’s physical or virtual. This is why Fortnite is on track to make $2bn this year, despite being free to play. People are spending real money to give their Fortnite character special outfits and emotes. B.F. Skinner found that the best way to keep his rats hammering the lever was to make it drop the food pellets at random intervals. Game designers know this and use variable ratio rewards to hook rats… sorry, players. Enemies are programmed to randomly drop loot, and so the player keeps on going, always hoping the next kill will get them the reward they want. Just like a slot machine. Other strategies include: allowing new starters to level up quickly, but then make it harder to do so over time, to increase satisfaction. Developers can also make it harder for players to stop by not allowing them to pause the game (Fornite / Dark Souls). Another reason some gamers find it hard to stop playing is that they get into a flow state (Mihaly Csikszentmihalyi, 1990). In this trance-like state, one’s sense of time is distorted as the brain is flooded with potent feelgood drugs. Once experienced, this pleasant state is chased after time and time again. But Why Doesn’t Everyone Get Addicted? 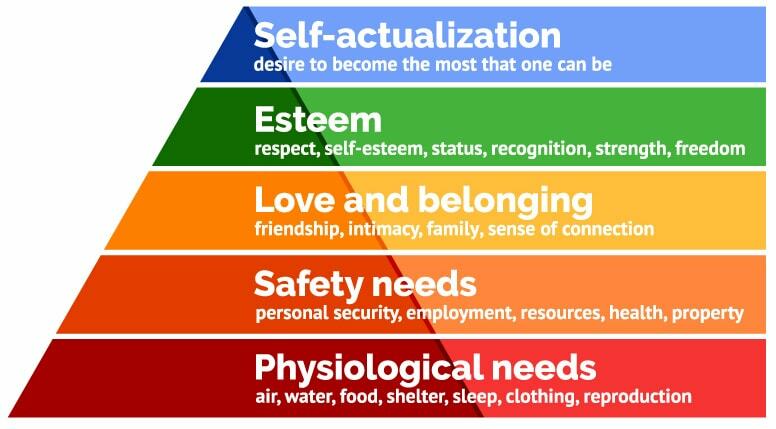 Looking at Maslow’s hierarchy of needs as an example, it’s clear that many of the human needs he identifies can be met in the digital world. Belongingness (playing with a huge online community, often with a shared goal), self-esteem (why be a servant in real life when you can be a master in a video game? ), adventure (tick) and realising one’s potential (levelling up) are all things that video games can provide individuals. Those who find it hardest to meet these core needs in the real world may find it most tempting to devote their energy into gaming – even if it comes at a price to their own wellbeing or the safety of those around them. Like all other kinds of technology, when misused, video games can have a negative impact on some people’s lives. However, gaming can also be a force of great good for society…and science. Aside from the examples I listed at the start of the article, just look at Foldit; researchers studying the structure of a protein-sniping enzyme critical for reproduction of the AIDS virus used help from game-players’ strategies to reveal the enzymes’ structure within 3 weeks, and they were then able to identify targets for drugs to neutralise it. As video games continue to become more and more mainstream – and even start to be viewed as an art form – their “addictiveness” will increasingly be up for debate. Should the responsibility for policing this lie with the designers, or with the players? At Bunnyfoot, we’re experts at using neuroscience and persuasion to create cutting-edge, superior user experiences. If you think we can help you, get in touch. This post was written by Hugo Nickols. Would you like to share it?